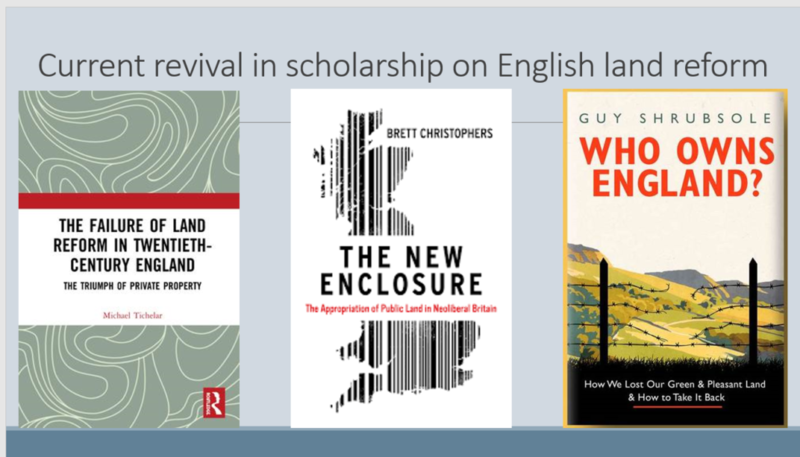 Brett Christophers, The New Enclosure: the appropriation of public land in neoliberal Britain (Verso, 2018) – I might do a quick review in another blog post: basically, his general argument is good, though I’m less keen on his writing style and his generalisations about the history of feudalism and enclosure, for which he mainly draws on Polanyi, and on the 1870s register of land owners, for which he draws mainly on Cahill. Michael Tichelar, The Failure of Land Reform in Twentieth Century England: the triumph of private property (Routledge, 2018) – bringing together a life time’s work on the topic, though mainly focused on the role of the Labour Party in pushing for various land reform policies regarding the ‘unearned increment’ in land acquisition policies. Guy Shrubsole, Who Owns England? (out in May) which I’m looking forward to: a summary no doubt of the excellent research being done for his project and blog of the same name. Of course these studies have been years in the making, and reflected perhaps the debates around Publicly-Owned Private spaces that Minton drew attention to. 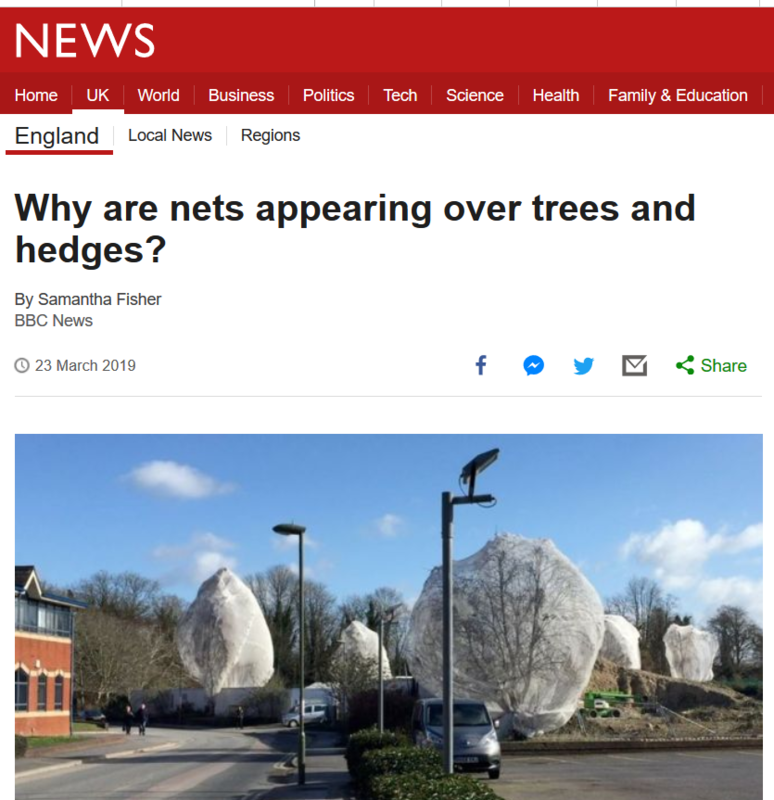 These acquisitions seem to be reversing the process identified by Christophers and Hodkinson of ‘new urban enclosures’, whereby land previously owned by public bodies such as councils has been sold off for redevelopment at a rapid rate. Yet these are not ‘unenclosing’ these spaces; the councils’ investments perhaps are just another part of the longer process of ‘financial landownership’ that Doreen Massey and A. Catalano, and David Harvey identified has been occurring since at least the 1970s, whereby companies invest in the value of land as a capital asset (Christophers, p. 112). I’m starting to compile as many definitions of public space as I can from here. First, the definition from the London Assembly’s 2011’s report, ‘Public life in private hands Managing London’s public space’, which started to acknowledge the massive shift to privately-owned public spaces in the capital. ‘all spaces including streets, squares and parks that everyone can use and access in principle, regardless of who owns or manages the space’. ‘all those parts of the built environment where the public has free access. 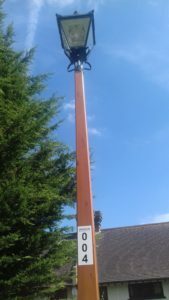 It encompasses: all streets, squares and other rights of way, whether predominantly in residential, commercial or community/civic uses; the open spaces and parks; and the ‘public/private’ spaces where public access is unrestricted (at least during daylight hours). It includes the interfaces with key internal and private spaces to which the public normally has free access’. 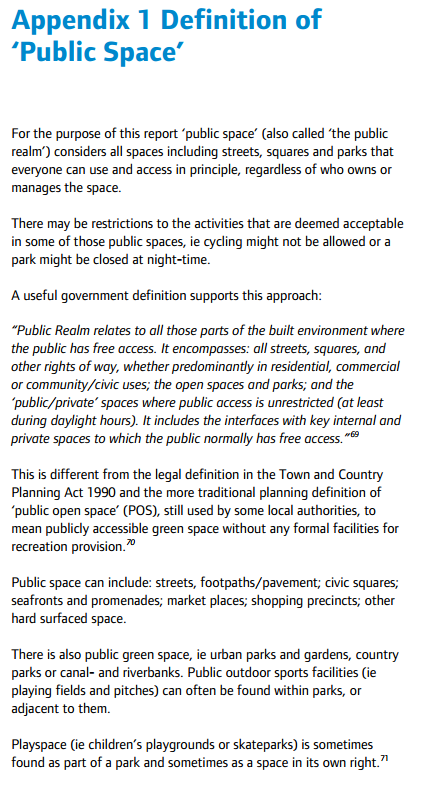 and the more traditional planning definition of Public Open Space. 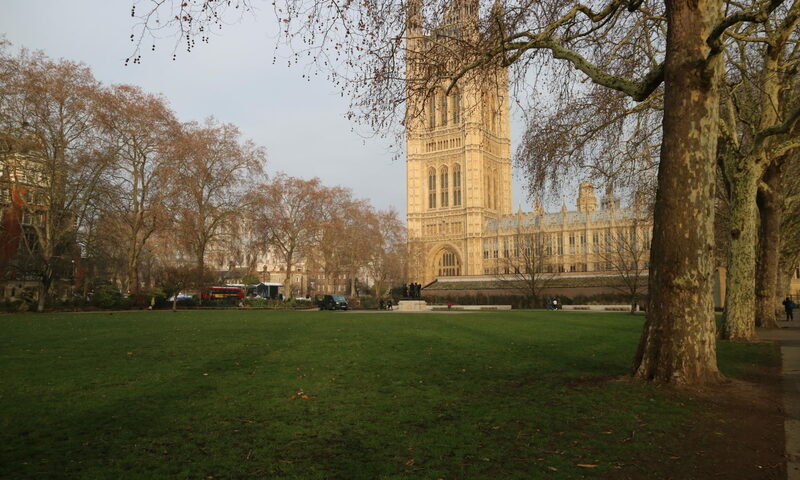 It also notes the additional category of ‘public green space’, including urban parks and gardens, country parks and canal and riverbanks. 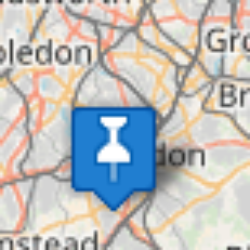 As you may know, this project is very much inspired by the great project Who Owns England? 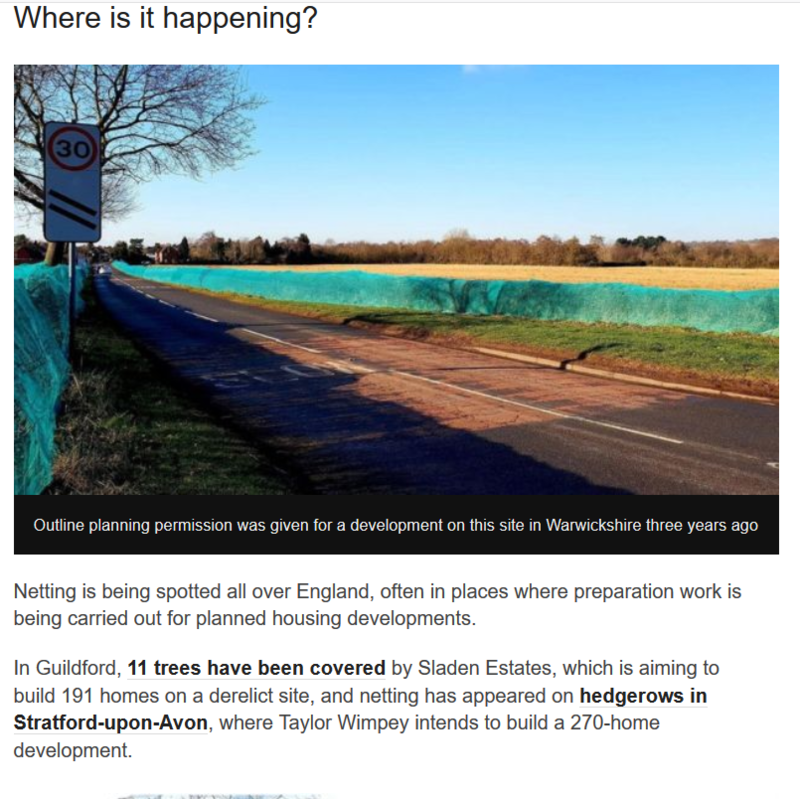 led by Guy Shrubsole and a team of researchers, sending in FOI applications and scraping maps to campaign for more transparency in land registration. 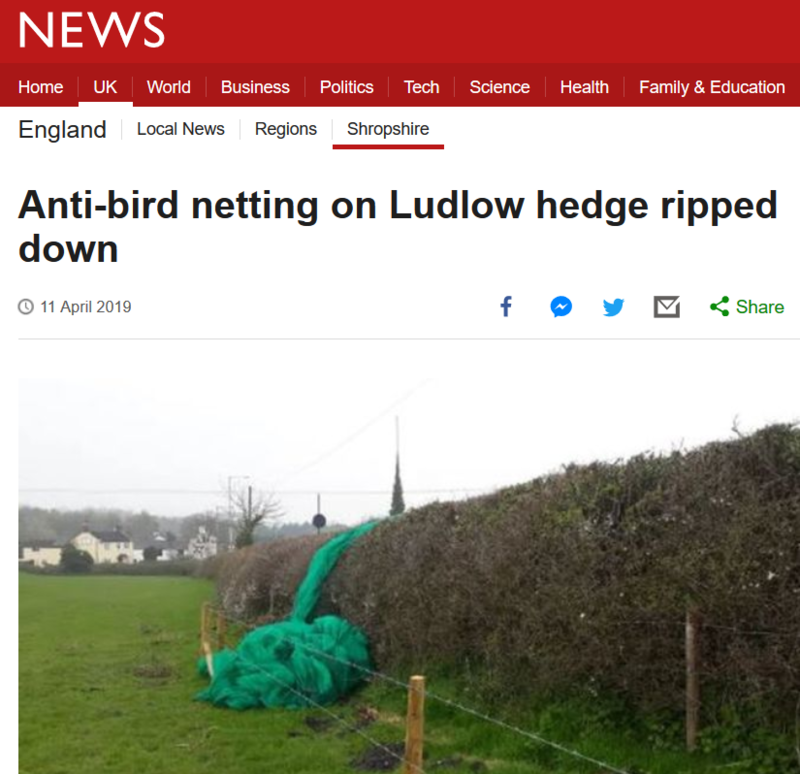 Twitter comments have noted how some of the 15% area is railway lines – Network Rail apparently haven’t registered their land, or land that has remained in the same hands and unmortgaged since 1990. Remarkably, we don’t know who owns 15% of the country. 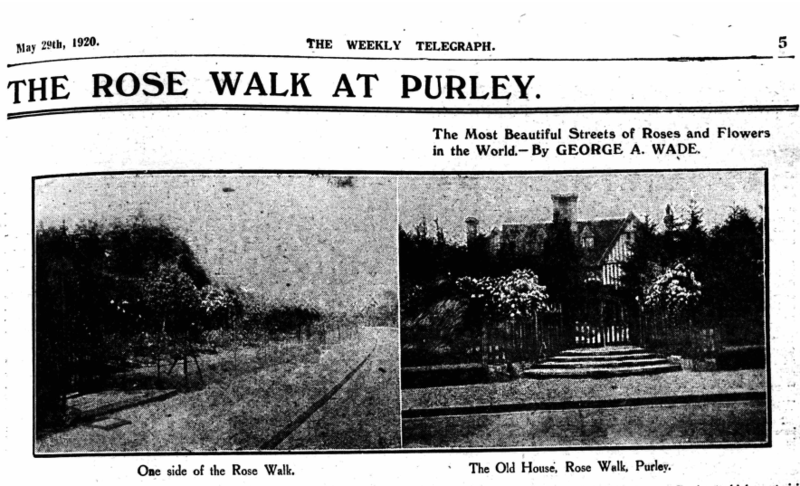 The Webb Estate near Purley, Surrey, is an odd place, a exclusive-feeling village of ‘desirable’ houses, but with indications of something else behind the gates. 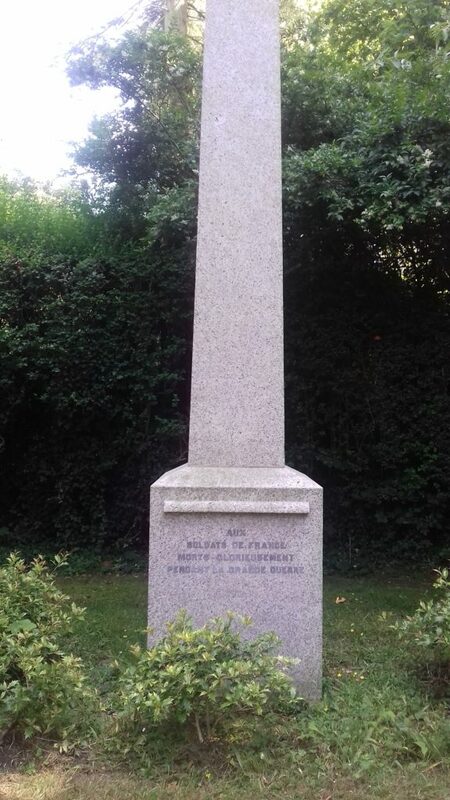 The monument to French soldiers who fell during the Great War is bizarre to modern eyes because of its location, hidden away at the end of the long Promenade de Verdun. It almost feels as if it’s a family monument, and a visit there if you’re not a resident is slightly unnerving, as if you’re trespassing. 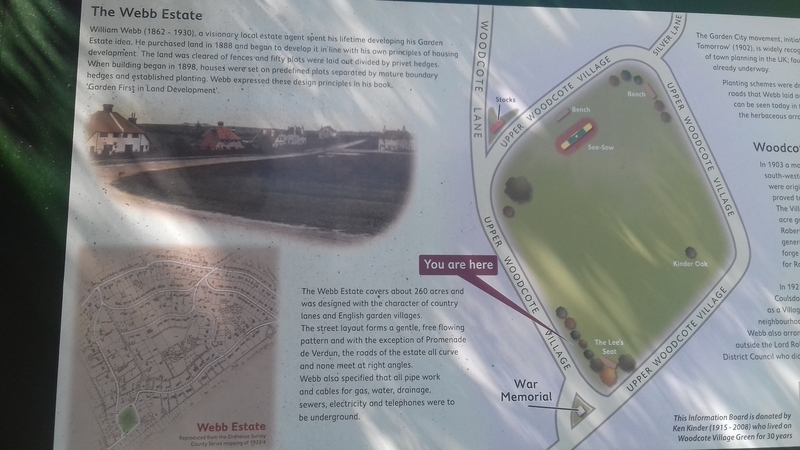 The useful local history sign erected by the village green explains the history of this garden village. 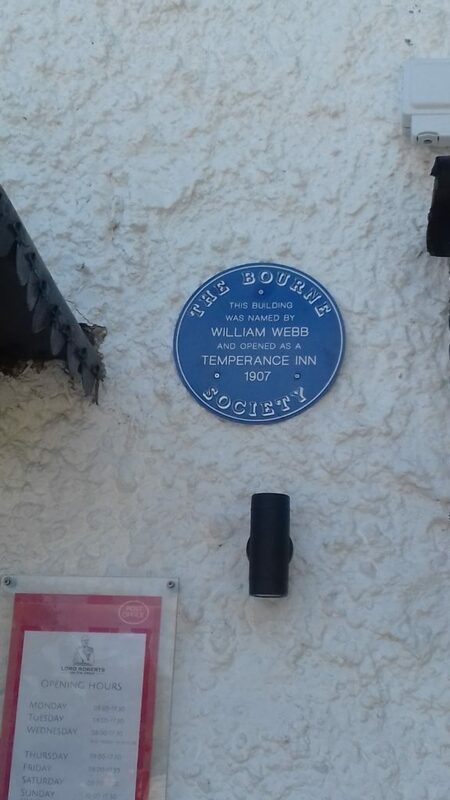 “William Webb (1862-1930) a visionary local estate agent spent his lifetime developing his Garden Estate idea. he purchased land in 1888 and began to develop it in line with his own principles of housing development. The land was cleared of fences and fifty plots were laid out divided by privet hedges. When building began in 1898, houses were set on predefined plots separated by mature boundary hedges and established planting. Webb expressed these design principles in his book, Garden First in Land Development. 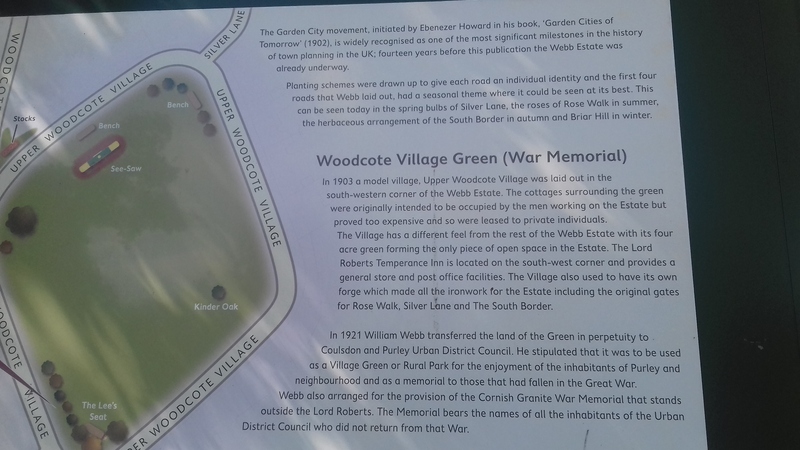 “In 1903 a model village, Upper Woodcote Village was laid out in the south-western corner of the Webb Estate. The cottages surrounding the green were originally intended to be occupied by the men working on the Estate but proved too expensive and so were leased to private individuals. 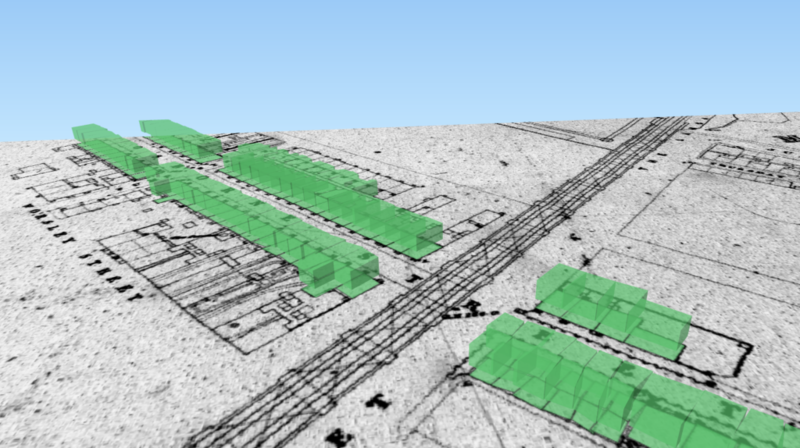 The Garden Village was such a pervasive idea in the first couple of decades of the 20th century. 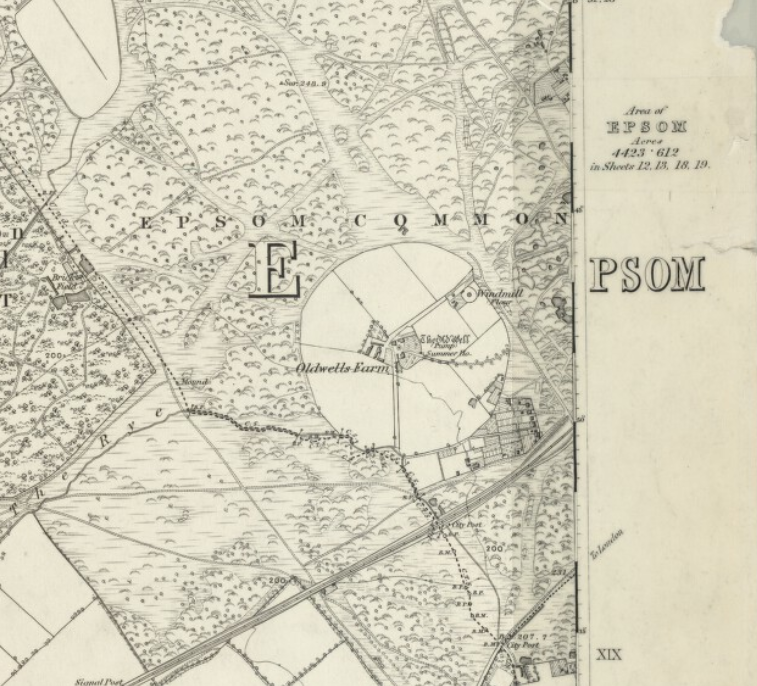 The history of Ebeneezer Howard and the garden cities has been well told, (see also this Historic England booklet (PDF)), but these types of smaller developments are different even though their creators were inspired by similar principles. 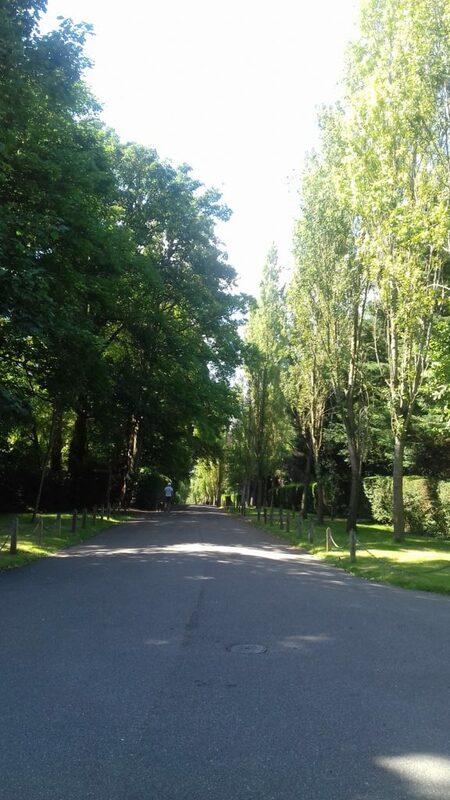 Whereas Howard saw cities holistically, and sought to embed the garden principle in whole town design, to create “a new hope, a new life, a new civilisation”, this type of garden village ended up being more of idyllic residential escape from London life for the upper middle classes. 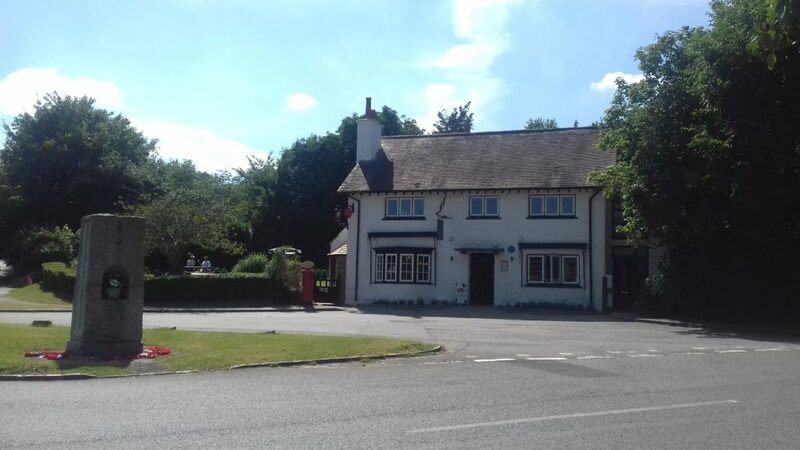 A few City men live at the West End but by far the greater number seek to spend their leisure time and bring up their families at the nearest spot to their work where they can find a comparatively country home. the occupiers of houses (should) not only have the enjoyment of their own premises in desirable seclusion, but that, both from their own upper windows and when passing along the roads, it may appear as though they are one large garden of which their own holding is a part. 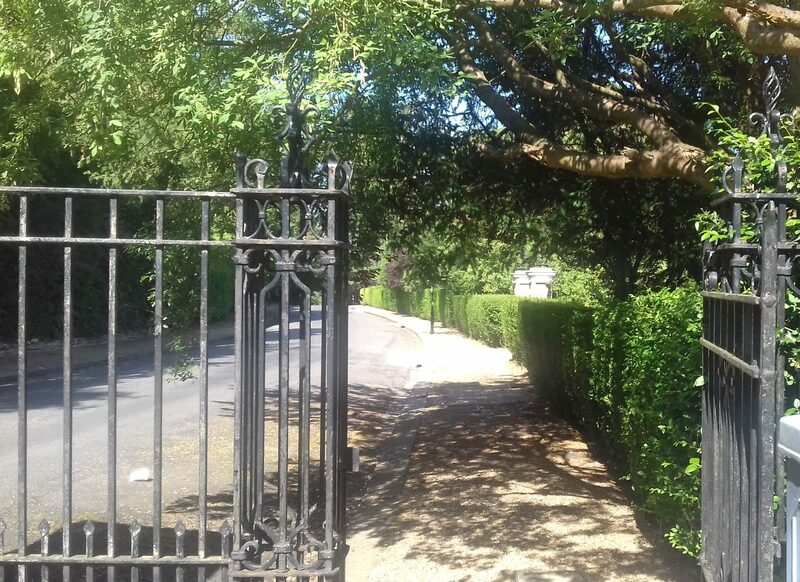 Whereas Howard’s garden cities were designed to be inclusive (and also self-sufficient for facilities and light industry), this was purely a private estate, with the large iron gates across the roads in and out (still there) to enforce that feeling of privacy and exclusiveness. Webb lived at Upper Woodcote House, completed in 1903, and the whole estate was completed by 1925. He was renowned for his philanthropy, and also held the summer show of the local horticultural society in the grounds of the house. 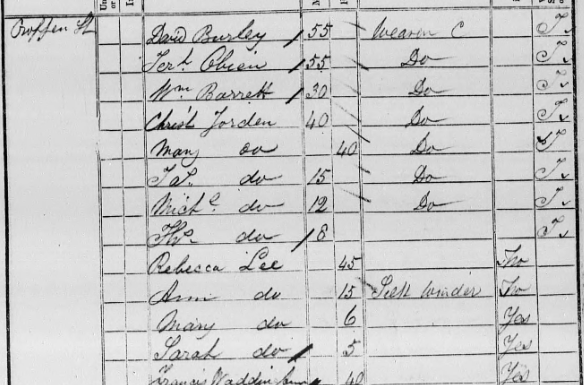 Transcribing the 1911 census, I get a different feeling than when I transcribe the working-class districts that are my other locales. 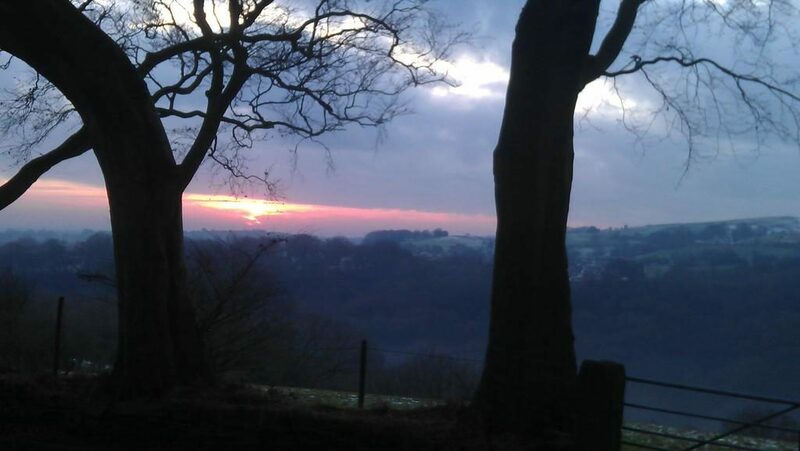 This was solidly stockbroker commuterville, pleasant escape from the commute to the City. 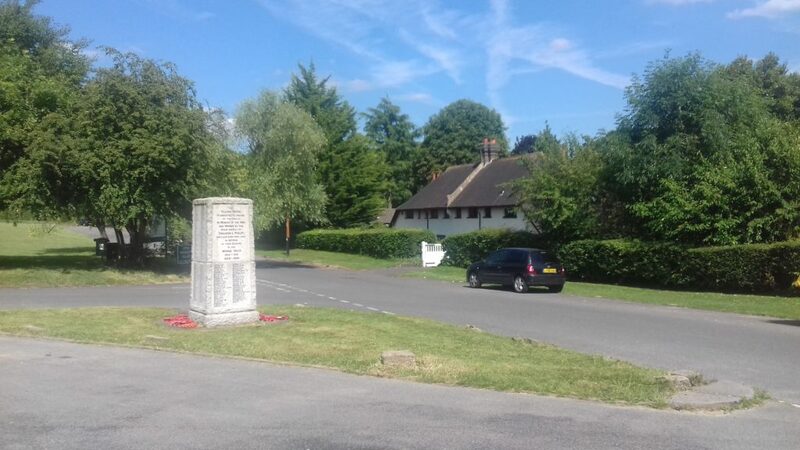 Most of these large houses were occupied by one nuclear family – a head of household and his wife, mostly from London or another part of Surrey, either retired early and with no children, or in their 30s with small children. Most of the houses have servants – a housekeeper, cook, governness for the small children – who usually have migrated from other parts of the UK. 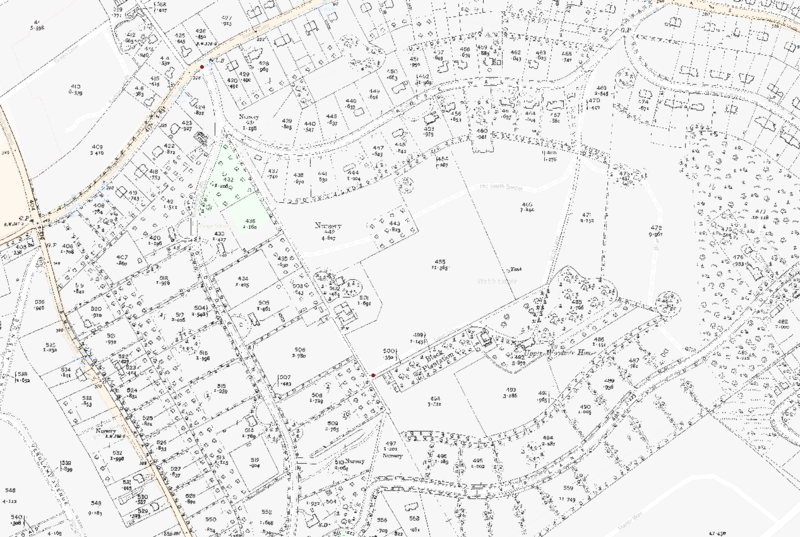 As a historian, I shouldn’t say this, but I feel it hard to find an immediate connection with the residents – do I care about Horace Whitaker, aged 32, ‘of private means’, living with his wife, three children and 2 servants, in ‘Waveney’ on Rose Walk? Or William Jones O’Hara, a 43-year old stockbroker born in Ontario, Canada, living with his wife, 2 children and 3 servants, in ‘Keewaydin’ [sp?] a few doors down? I must confess I’m more interested in the servants – was this their first employment? Did they miss home? Did they tease each other for having different regional accents and dialect? Did they ever meet the other servants in the other houses? 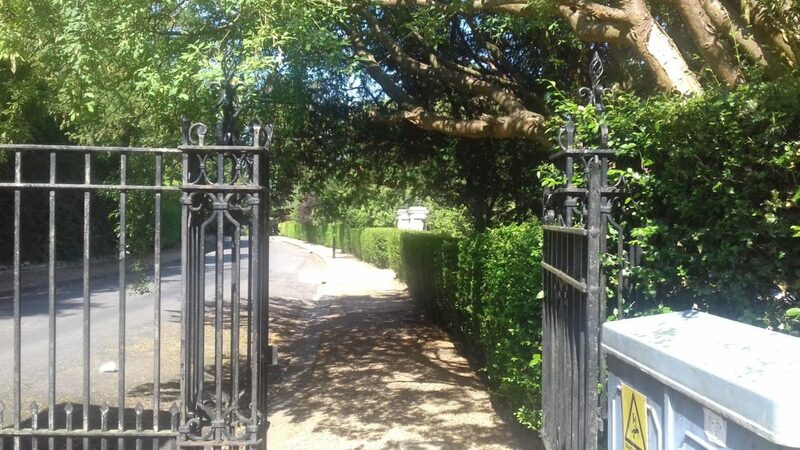 One suspects not, as the estate is designed around privacy: the hedges and long boulevards create the desired privacy, but mean that it would be much harder, for the servants at least, to meet their neighbours unlike in the hustle and bustle of, say, a row of London townhouses. 1911 census, Waveney, Rose Walk, Surrey: housemaid Edith from Bermondsey; cook Alice from Eastbourne, and nurse Mary from Devon. The other aspect that I’m going to develop is trespass and vagrancy. 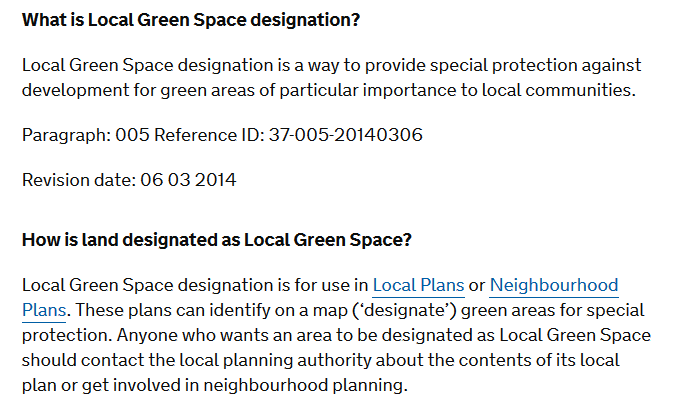 Finally, the issue of village greens and private space divided by class is another line of enquiry. The workers’ houses that were too expensive for workers to live in are also a historical parallel for many issues today. 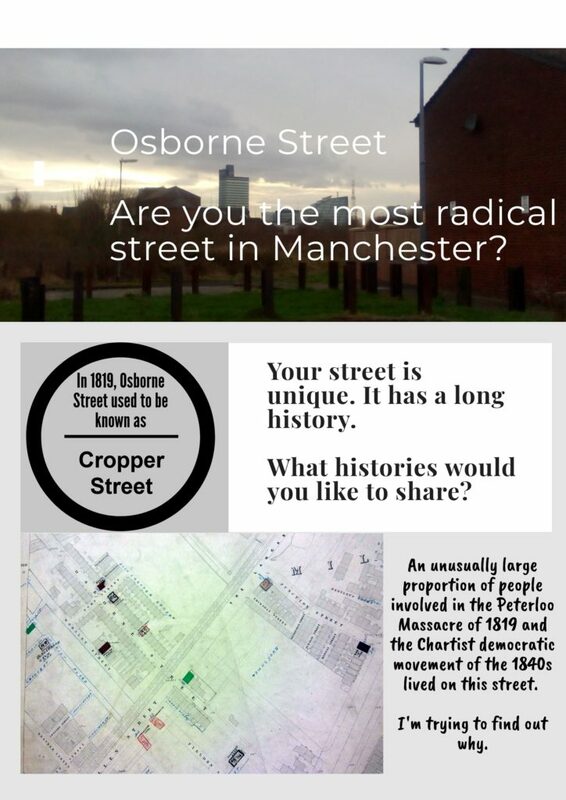 This is the most radical street in Manchester history, in my opinion. 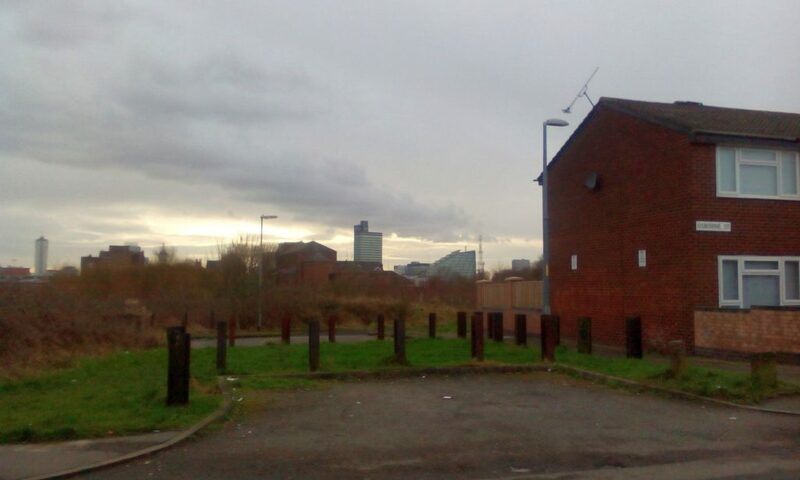 In April 2017, I took a field trip around Ancoats and Miles Platting, north Manchester, to investigate some of the sites of protest and popular politics that I researched for my previous book, Protest & the Politics of Space and Place, 1789-1848. My final destination was Osborne Street, formerly known as Cropper Street, a place that I wrote about as a ‘locale’ in my book, and which I’m still obsessed with. This blog post is a quick recap of what I’ve already found out. I’ll update with new posts soon with new research. 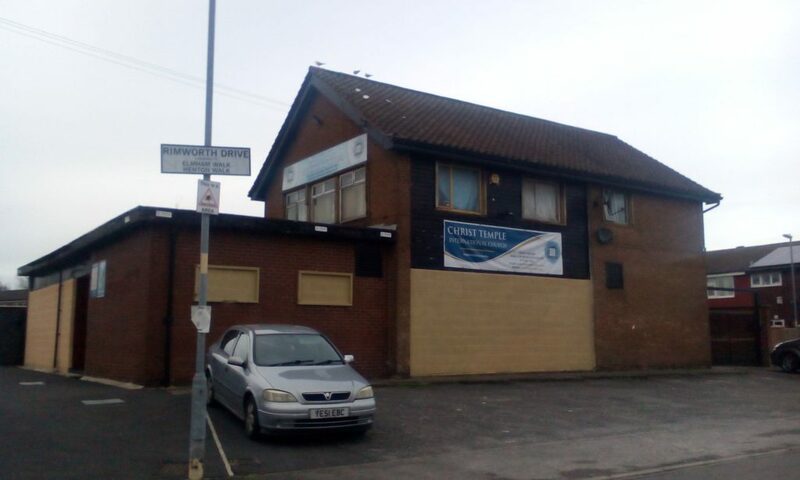 Situated off Oldham Road on the boundary with Miles Platting, Cropper Street was one of a couple of strings of terraces erected on a building ground (from the maps sometime around 1812) still surrounded by fields and a coal pit, and thus somewhat isolated from the centre. The streets feel isolated because they’re still set apart from the other terraces in the rest of north Manchester and Miles Platting, and they border the scrubby St George’s Fields, which look out onto St Patrick’s RC church and views of the ever-increasing towers of central Manchester. 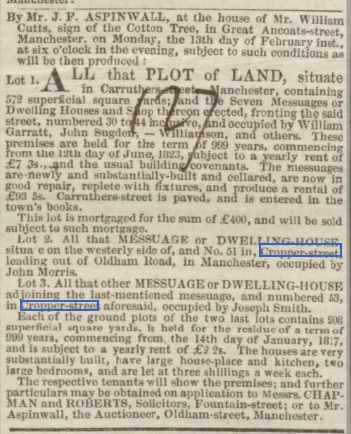 From an ad in the paper selling two houses in 1843, it looks like the leases began in January 1817, and were described as ‘very substantially built, have large house place and kitchen, two large bedrooms and are let at three shillings a week each’. Manchester Courier, 4 Feb 1843. 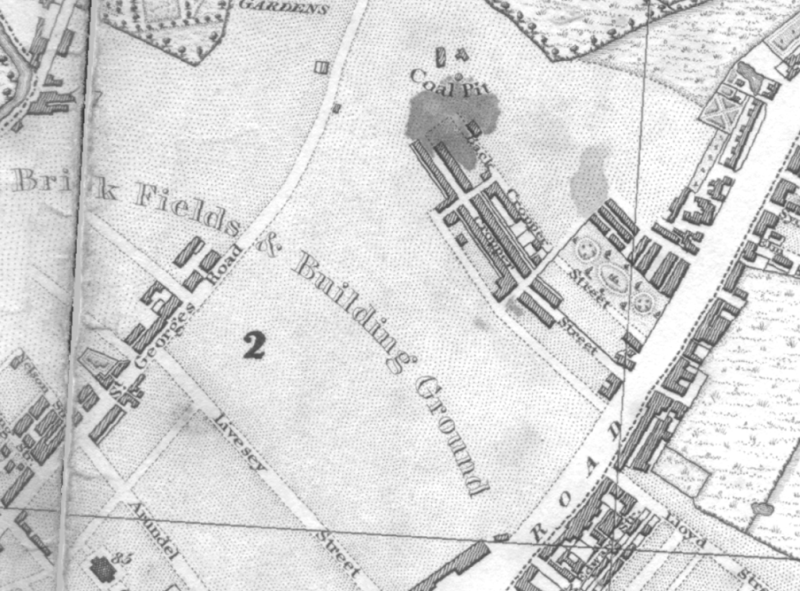 This 1824 map shows some sort of landscaped park off Back Cropper Street, though I’m not sure what this was yet or who owned it. It’s gone by 1836. 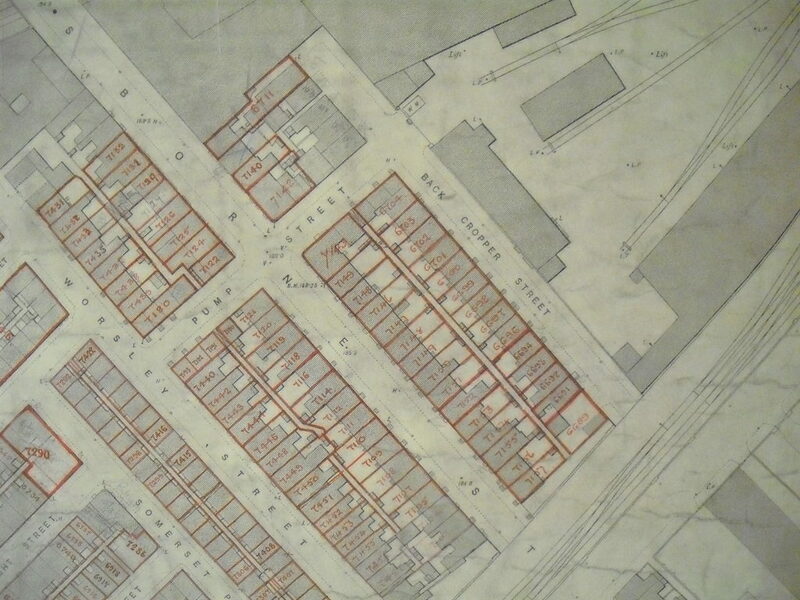 As part of an Improvement Act of 1845, the improvement committee changed the name from Cropper Street to Osborne Street, which it remains today. < Manchester Courier, 9 August 1845. 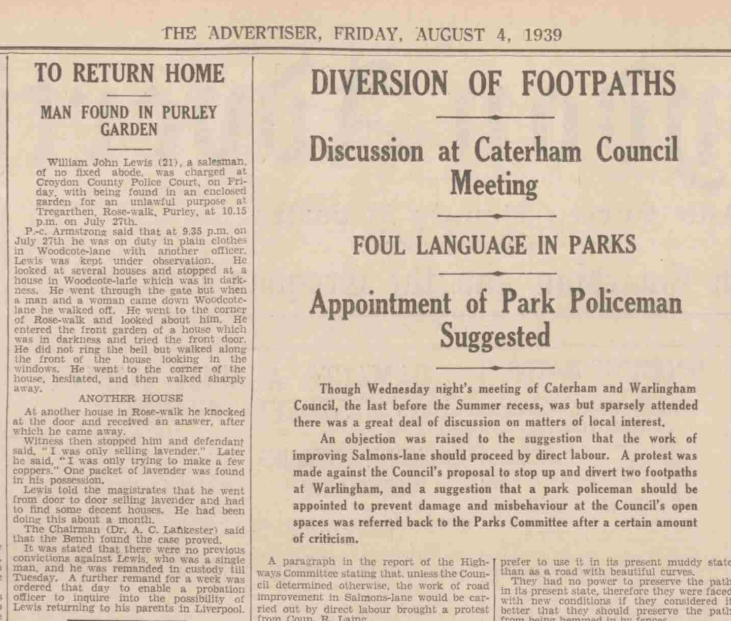 Then followed also a court case between the Corporation and the main landowner, Edmund Buckley, ‘a gentleman of considerable property’, who refused to pave and sweep the street, arguing that it was the Corporation’s job. 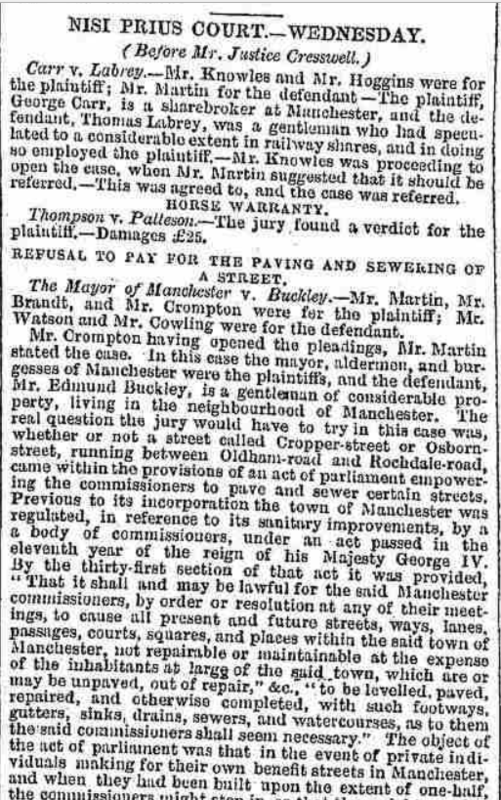 Manchester Times 21 August 1846. 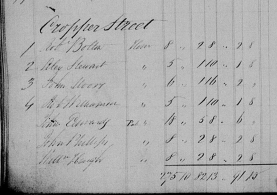 From the 1838 land tax records (see below), he owned at least 10 properties on the street (though this may have increased by 1846 – I need to check). 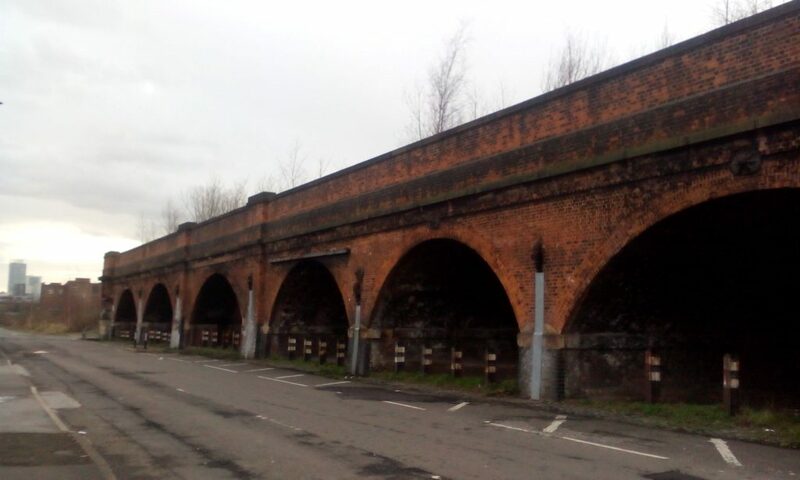 The streets were bisected by two railway lines (Manchester railway, and the Liverpool and Leeds railway) in the early 1840s , which made the community even more cut off. 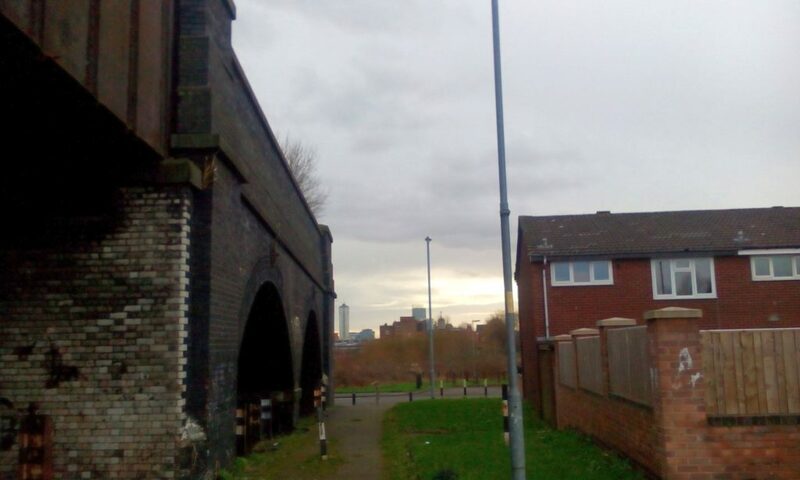 The old Manchester railway line is now a weirdly chopped off section of viaduct, which stops on New Allen Street near the start of Cropper Street. 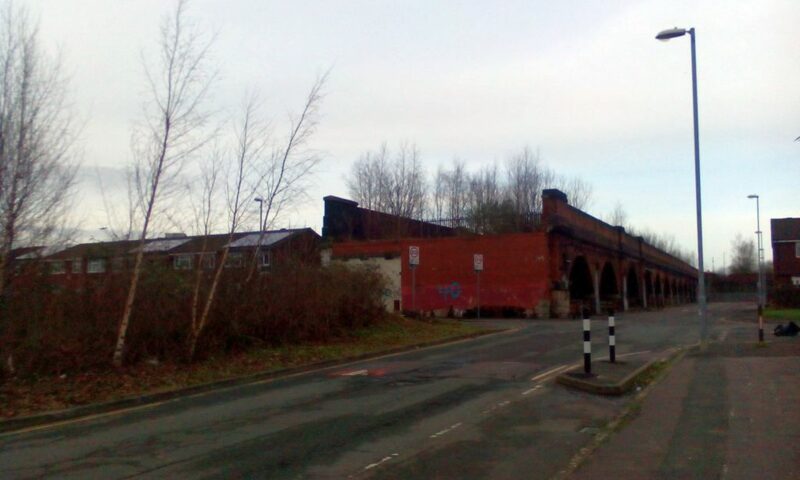 This gives the area a somewhat post-industrial abandoned feel, with the arches of the viaduct serving as the usual repository of old mattresses and after-dark dealings. 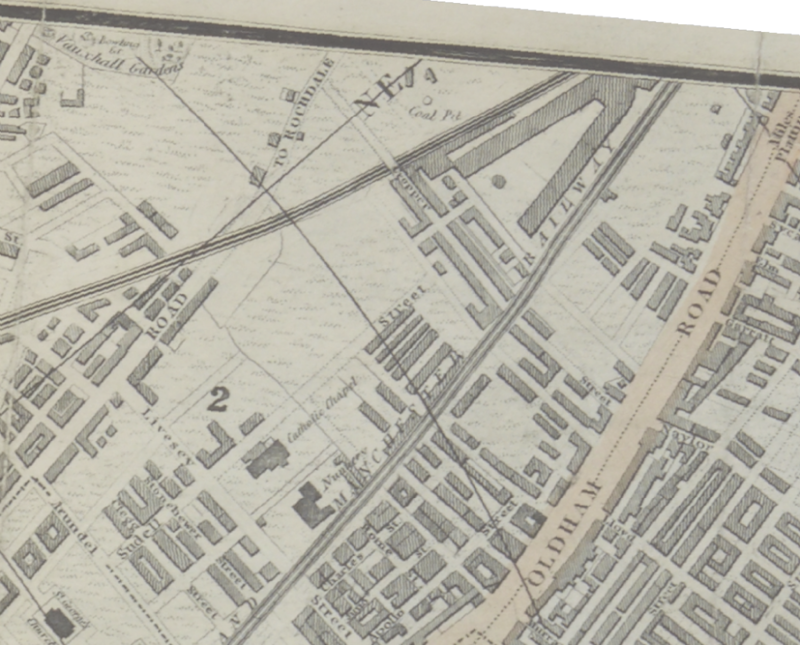 A more careful reading of Booth’s maps would show how some additions to the street plan – a dock, say, or a canal, a railway line or a new street – frequently reinforced these tendencies…. They all acted like tourniquets applied too long, and below them a gangrene almost invariably set in. The actual age of houses seldom had much to do with it and it was sometimes possible to run through the complete declension from meadow to slum in a single generation, or even less. 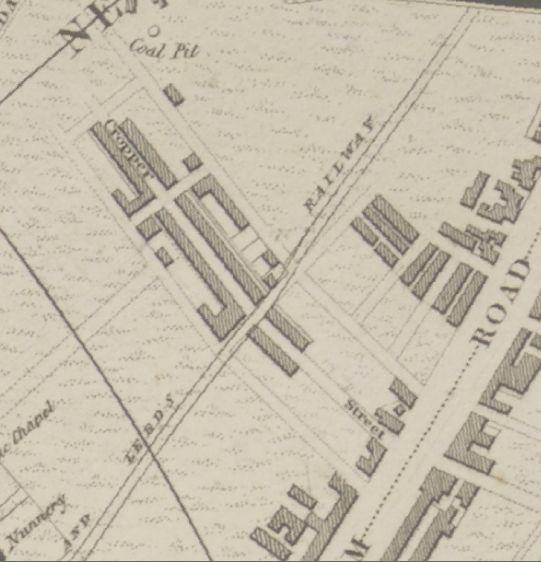 The 1818 ratebook listed 83 houses on the street, with a population of around 600. 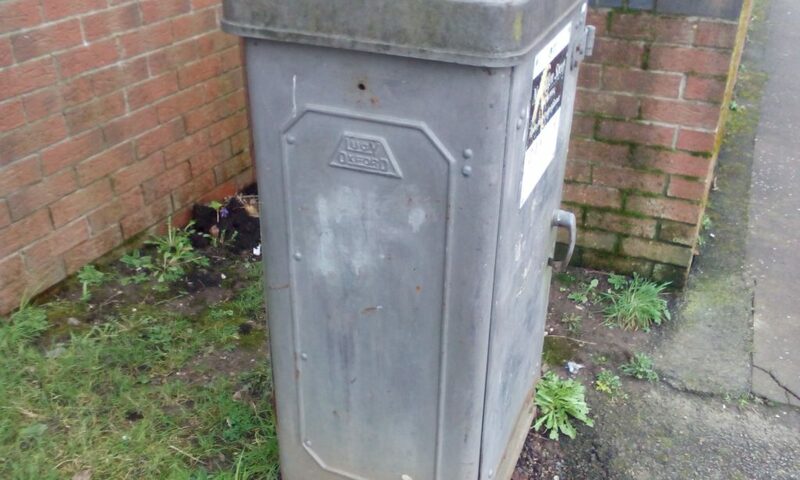 There is also a Back Cropper Street. Most households had only one family, with perhaps a couple of lodgers: that is, these were not overcrowded slums quite yet. 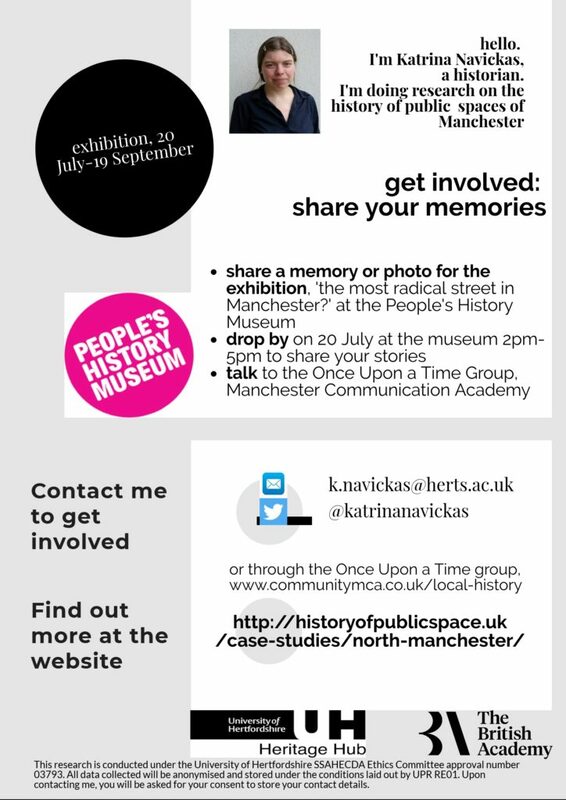 ManchesterArchives & Local Studies, M9/40/2/85, Manchester ratebook, 1818, pp. 137-9. 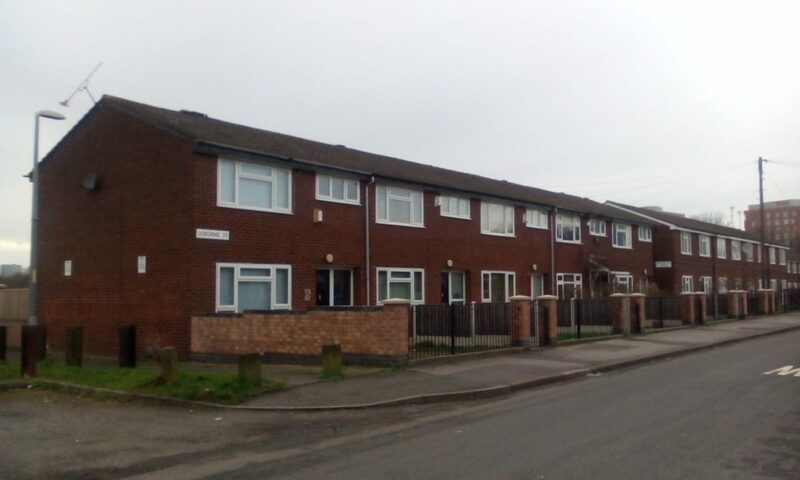 46% of the heads of households of Cropper Street, Back Cropper Street and adjoining Pump Street, were cotton weavers. 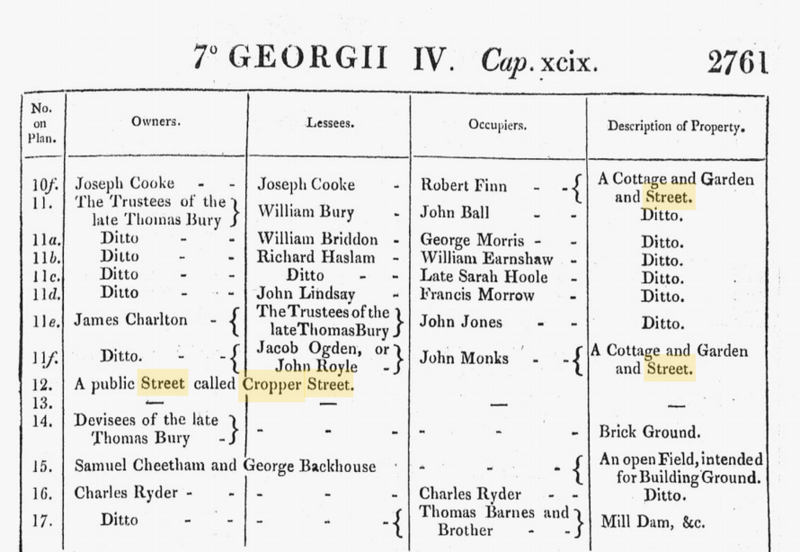 17 out of the 56 households on Cropper Street had Irish heads of household. By the 1841 census, over-crowding, particularly of Irish, is evident. 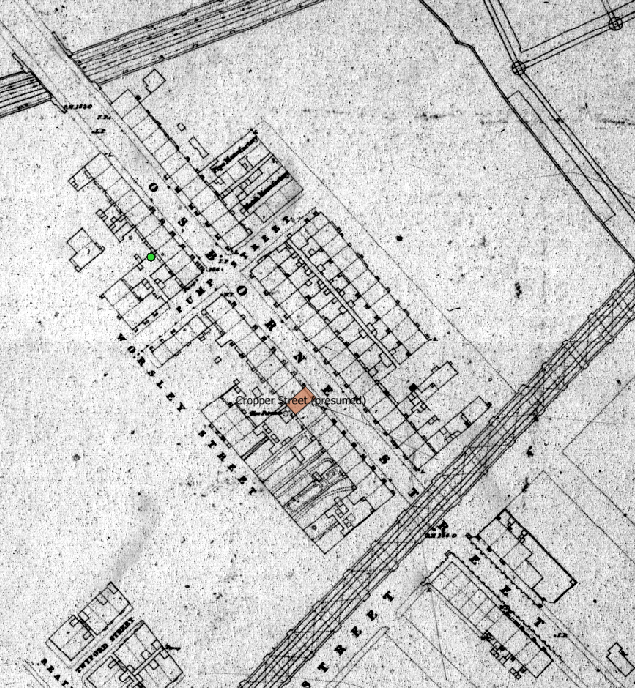 This one house somewhere in the middle (annoyingly the 1841 census didn’t number the houses, but it was probably hard to do so with all the courts and cellars), had a 75-year old Irish cotton weaver, George Jordan, as head of household, two male relations Christopher (c.45) and Peter (c.15) (son and grandson?) and then 13 other people, including some more Jordans, and one other family, in the same house. 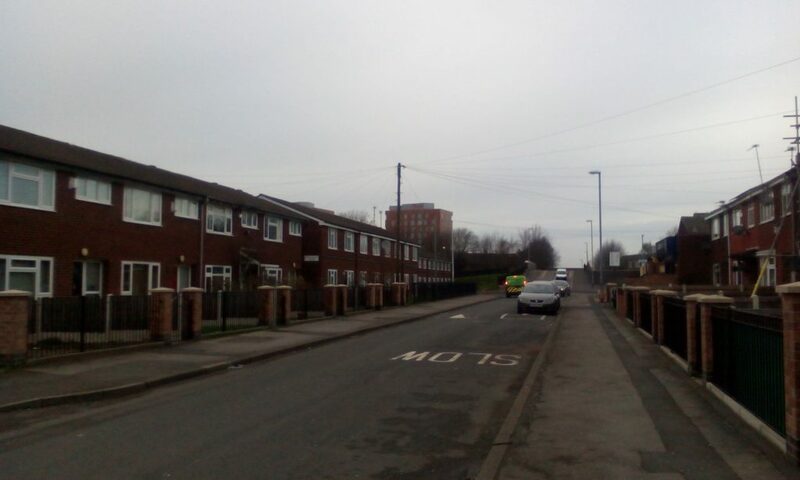 The site was presumably flattened during the post-war slum clearance programme, and these new houses built by the council. I need to find out more about this. Of course I found a Lucy’s electrical box on New Allen Street, my main touchstone for wherever I go.